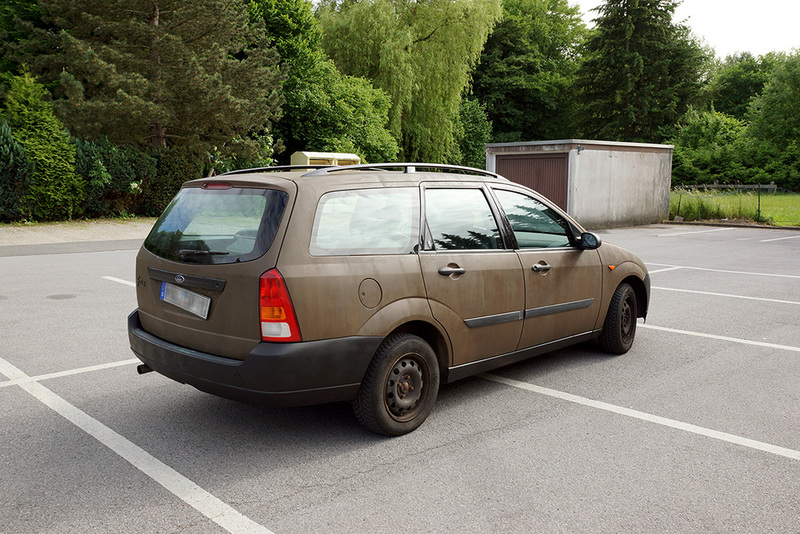 I diceded to make my car looking "rat", because my luggage compartment lid starts to rust. 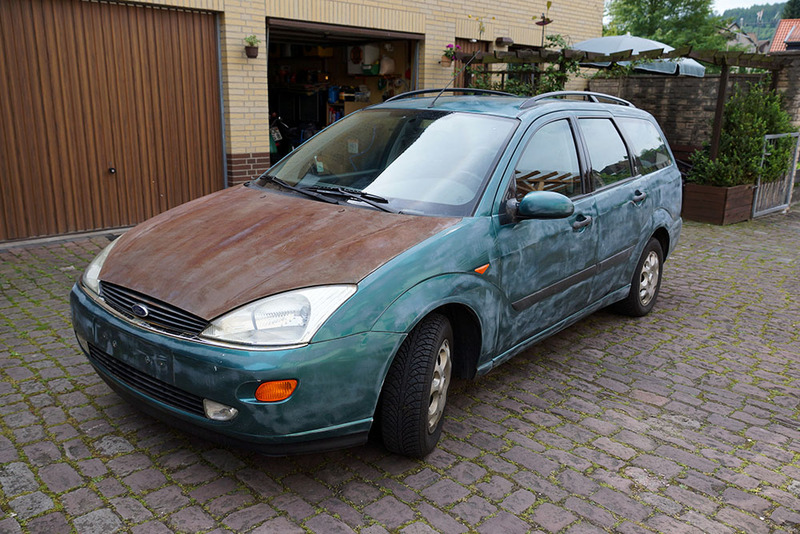 I buyed some rust-color, which i will use to paint my car. 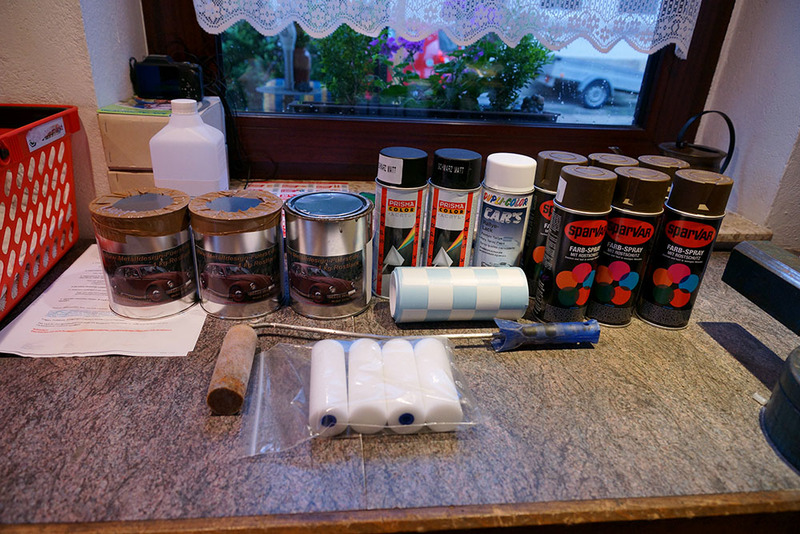 Looks like a good start! 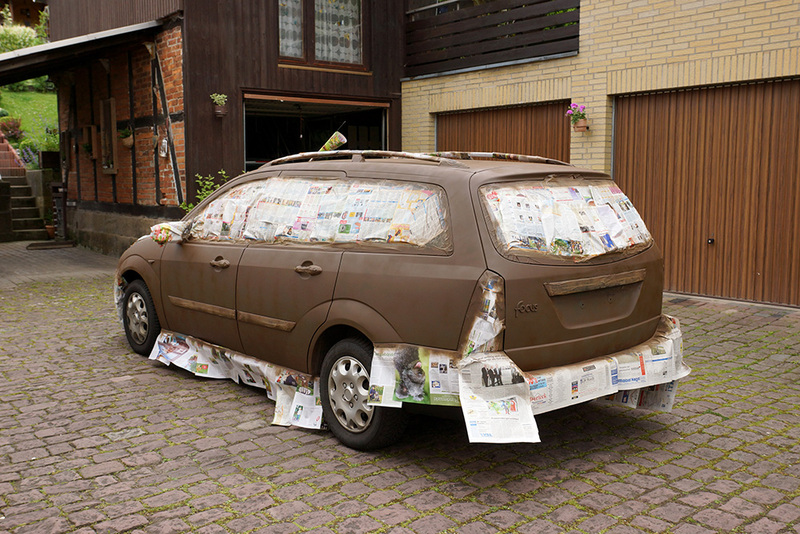 Where did you get that paint? 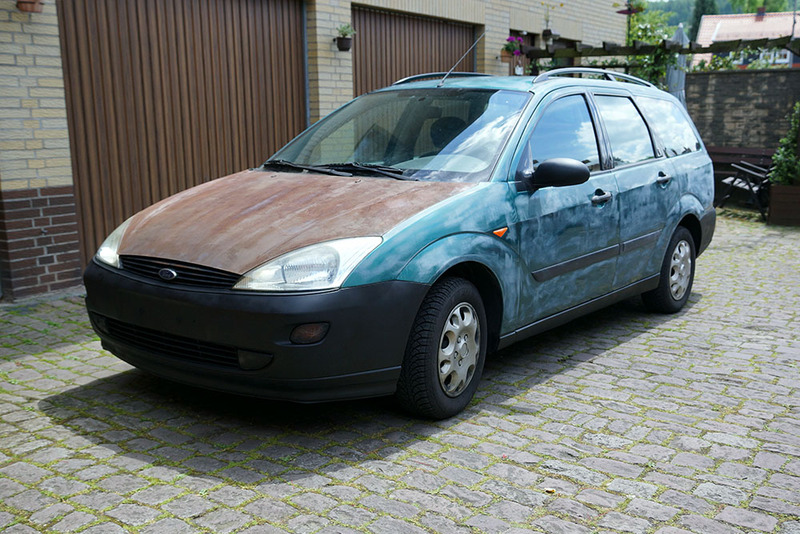 I decided to paint my metallic green car first with the color "leather Brown" (RAL 8027), because the opacity of the rust-paint isnt very high. 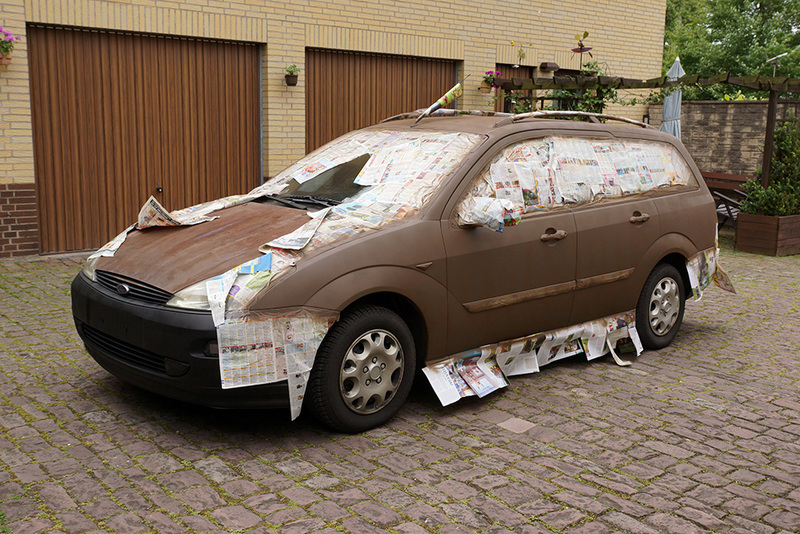 I want to save some money. 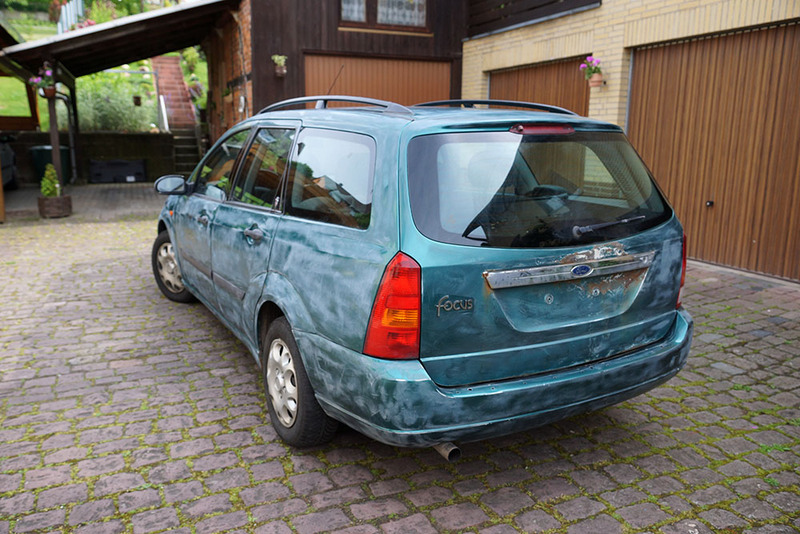 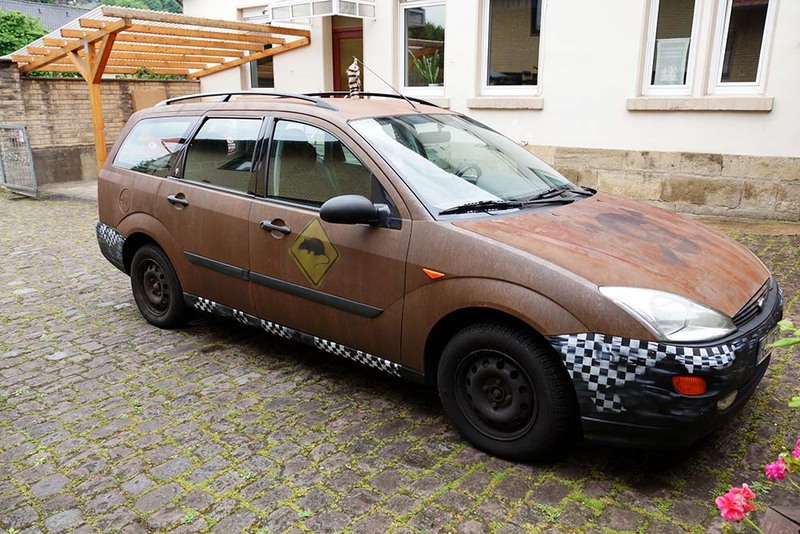 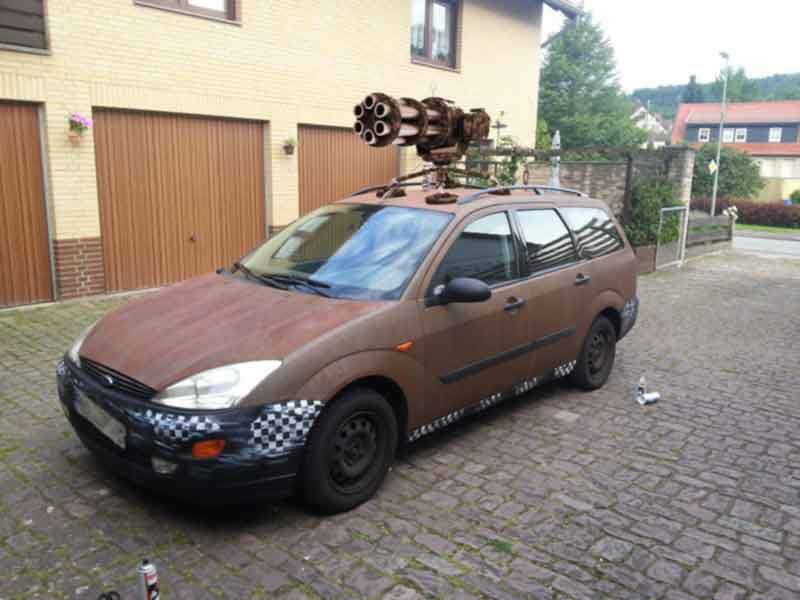 1 litre cost about 60€, i think if i only use the Rust-Paint i need about 10-14 litres for my car (cause of the low opacity) , that costs about 600€ to 900€ / (800$ - 1200$). 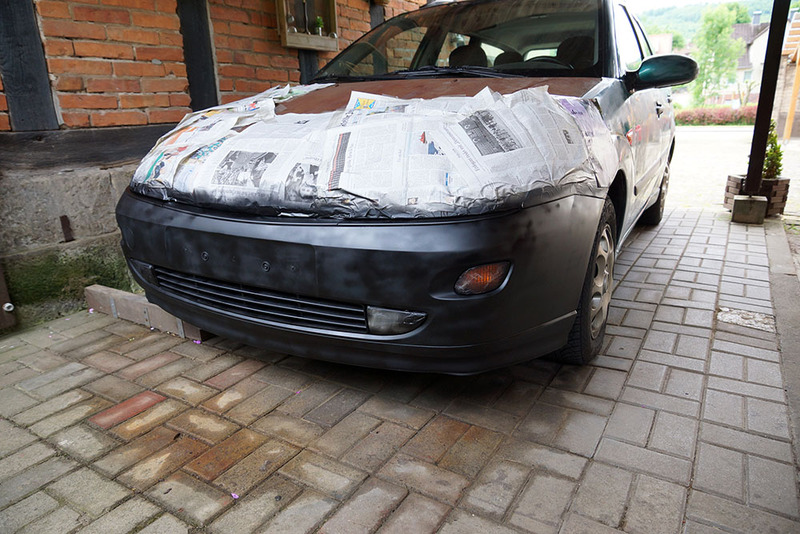 The spray-paint "leather Brown" (RAL 8027), has much more opacity and is much cheaper, i need only about 2 litres to paint my car. 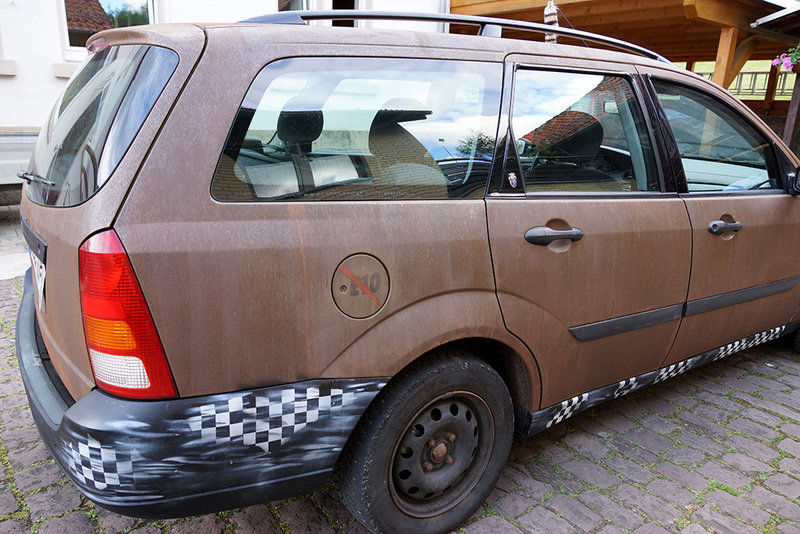 After i sprayed that "leather brown", i try to paint only a small layer of the rust-color over the sprayed brown. 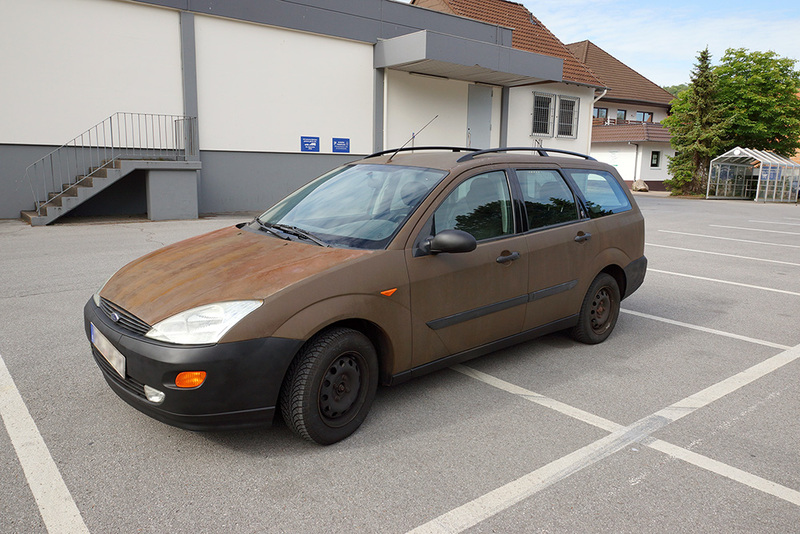 I hope the rust-effect is still good. 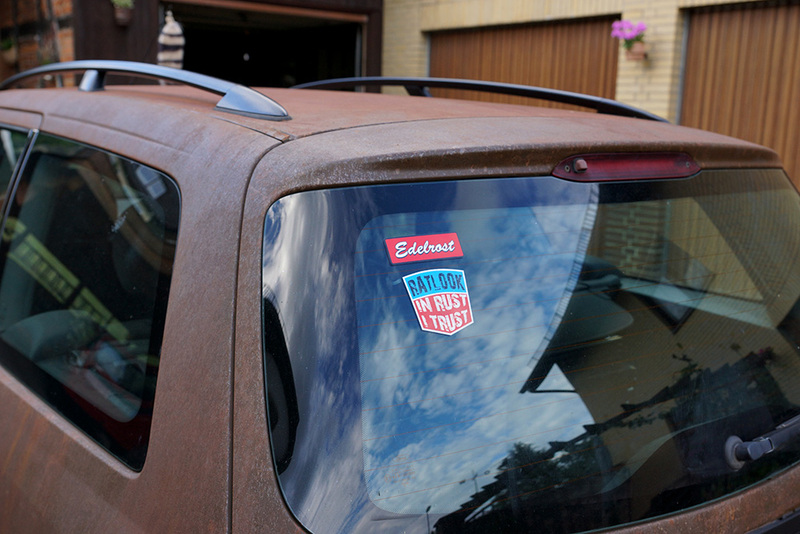 thats a matter of taste, and ratlook is a strange matter of taste!